Maxim magazine has named Katy Perry their top 100 hottest woman. What?! How did this come about? I have a sneaking suspicion that it somehow all goes back to that song "I Kissed A Girl" 'cause I'm sure the panel that decided this was almost completely all male and when her name came up they automatically thought of that song and got excited. Ugh. That's uncanny. 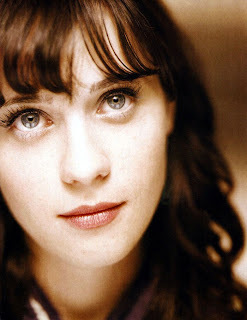 So here's my thing... if you're going to pick someone that looks like that, why not pick Zoey Deschanel? She's not even in the top 10. Hell, she's not even in the top 50! She's ranked a disappointing 73. Maybe I'm biased because I like Zoey better than Katy, but this just doesn't make any sense at all. In fact, most of the list doesn't make sense. Don't believe me? Check it out for yourself: Maxim's Top 100. I almost threw up when I saw Kesha on the list. Haha! The whole list is pretty effed up. I mean, why would you pick somebody who would wear something that looks like what Katy Perry has on in that first picture? Yuck. And half the people that made it aren't even pretty. And it was a totally unfair representation. There were no redheads or women with curves! I like Katy and Zooey both, but I think the numbering is pretty whack. And Ke$ha was really on the list? She look slike a two-bit whore? What the shiz?